Posted: December 4, 2018 Updated: December 4, 2018 by onlineph | Filed under Games, Internet. It has been clarified that Kuku may attend the event but the Chongqing Major organizers can’t guarantee that he can enter the country. The city government will also possibly cancel the tournament should he attend. Add to that, they can’t guarantee his safety should he chose to attend the event in China. TNC Predator shared that SLTV, IMBATV’s Western partners for the Major, help open lines of communication to reach IMBATV. It is their goal to have a sincere dialogue with the IMBATV about the issue. Carlo “Kuku” Palad was previously banned after he used racist language against Chinese players during a match. 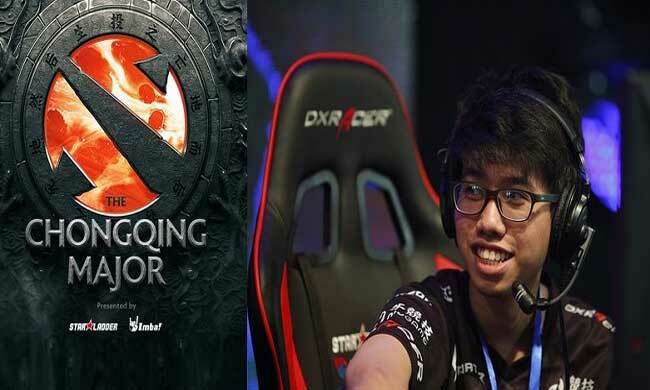 This is prior to an incident involving another Filipino player named Andrei “skem” Ong (formerly of compLexity Gaming) who also made detracting statements against his Chinese opponents the DreamHack DreamLeague Season 10 tournament. 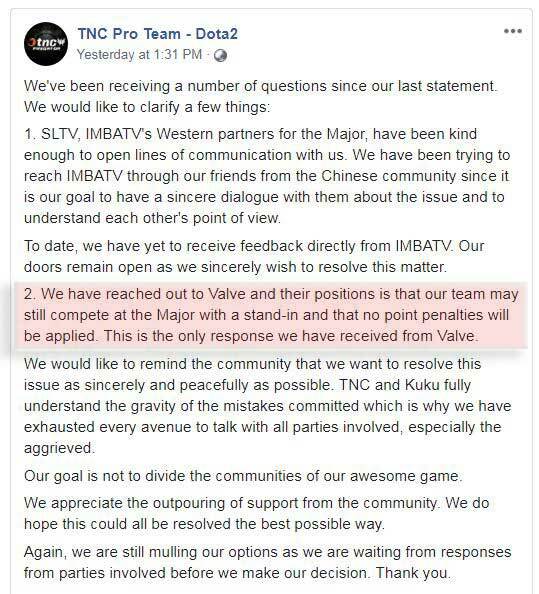 Despite the clarification that Kuku is not completely banned, many among the Dota community consider the statement of the organizers as a threat. TNC has reached to Valve and they are given the chance to compete at the Major as a stand-in. Add to that, no point penalties will be applied. However, there is no further response from the Valve. Admittedly, TNC shares that they have exhausted every avenue to talk with all parties to sincere and peacefully resolve the issue. As of date, TNC Predator is still exploring their options and will soon update the Dota community of their decision. Did you Know the Other Filipino Characters in Video Games?